Compounding history, investigation and travelogue, this outlines one of the bitterest political stories of our age. In 1973, Pinochet overthrew the Chilean democratic socialist government of Allende. In 1998, Spanish efforts to indict him for crimes against humanity revived the i... read full description below. 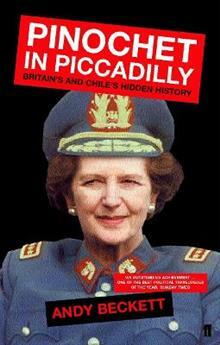 In October 1998, General Augusto Pinochet, former dictator of Chile, was arrested in London. He had been charged with crimes against humanity by a Spanish magistrate, but over the 16 months that Pinochet was detained, equally intriguing questions went unanswered about his links with Britain. Why was Margaret Thatcher so keen to defend the General? Why was Tony Blair's usually cautious government prepared to have him arrested? And why was Britain the General's favourite foreign country? Andy Beckett offers a compound of history, investigation and travelogue that unravels this strange story. Andy Beckett was born in 1969. He studied modern history at Oxford University and journalism at the University of California in Berkeley. He is a feature writer at the Guardian, and also writes for the London Review of Books and the New York Times magazine. He lives in London.